I’ve found any discussion regarding structural abnormalities of the hip to be really confusing. I’m going to try to simplify this and, hopefully, not lose any technical aspects in the process. 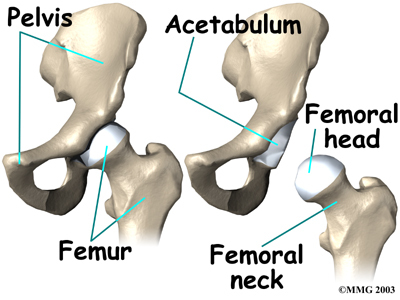 When talking about structural issues at the hip the first area causing confusion (at least for me) is the lack of discernment between acetabular abnormality and femoral abnormality. The structural abnormalities I’m going to cover are the “versions.” AnteVERSION and retroVERSION. 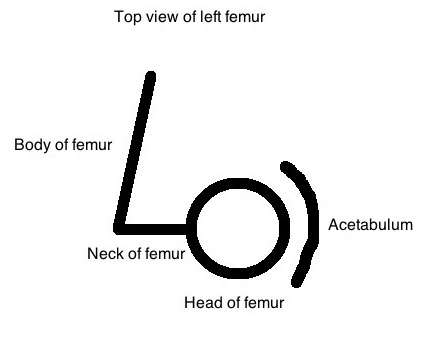 Either the acetabulum or femur is in a “version;” either the acetabulum or femur is rotated forward or backwards. What’s important to realize is regardless which bone is “verted,” the consequence appears to be the same. Anteversion: The hip joint has a greater than normal ability to internally rotate and lesser than normal ability to laterally rotate. Retroversion: The hip joint has a greater than normal ability to laterally rotate and lesser than normal ability to internally rotate. 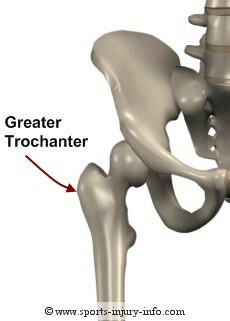 Anteversion: The hip joint has a propensity to adduct. Retroversion: The hip joint has a propensity to abduct. Anteversion: The hip joint turns inward more easily than normal. Retroversion: The hip joint turns outward more easily than normal. Anteversion has been talked about quite a bit; I want to focus on retroversion. However, if they stand with their knee(s) and feet both pointing out, and maybe even spread apart (abducted), we may be on to something. It’s important to mention again, knees AND feet. Discerning a “toed” out posture is not enough. The toes may be pointed out while the knees face straight ahead, meaning the feet are turned out relative to the femur. It’s the femur we’re more concerned with as it connects to the hip, while the foot / shin does not. 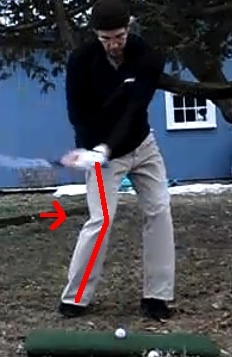 I want to reiterate, a person can have an internally rotated femur in stance and a retroverted hip. 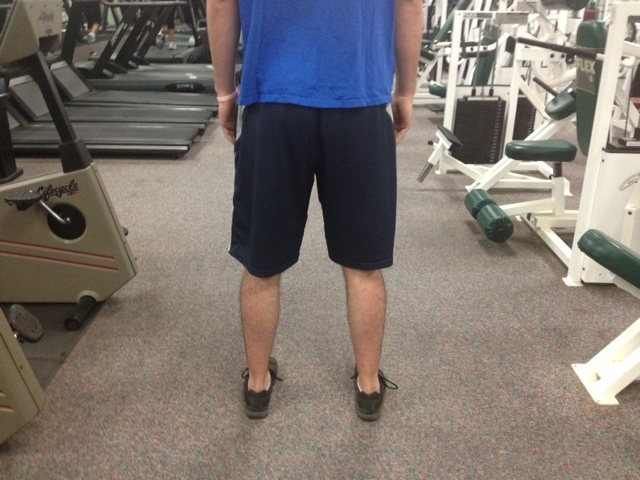 Standing posture is an indication, that’s all. 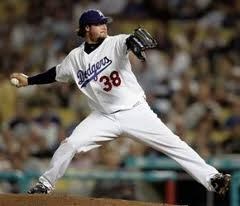 See the greater external rotation and abduction when the left hip flexes? If a person has a propensity to externally rotate / abduct (turn their knee out) during hip flexion, we may have another sign. Because a retroverted hip is structurally positioned into external rotation, a person with this abnormality is going to have a copious amount of hip external rotation, a limited amount of hip internal rotation, and this contrast will be readily apparent during hip flexion. This is really the money test. Have the person lay on their stomach, bend one knee, then rotate the leg side to side (making sure the lower back does not move). 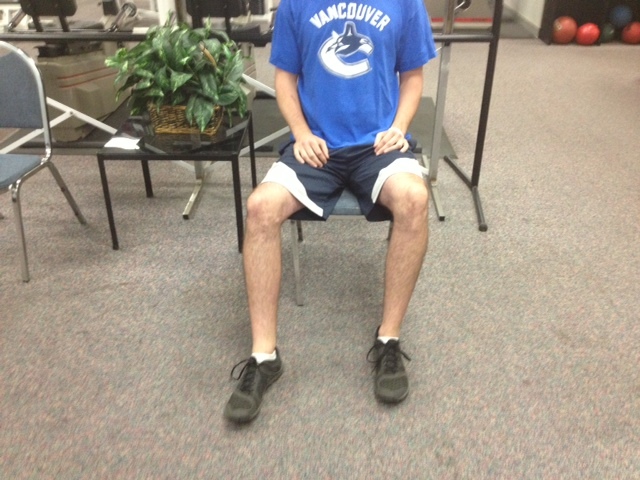 We’re looking for a big difference between lateral rotation and medial rotation. 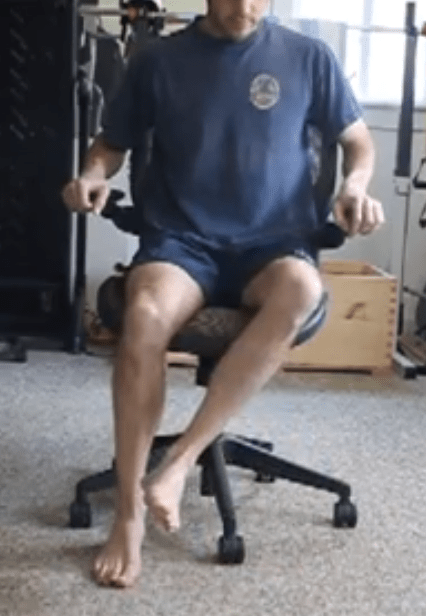 Specifically, limited ability to rotate the leg out (medial / internal rotation), but excessive ability to rotate the leg in (external / lateral rotation). Tangent, what’s normal hip motion? In the context of this post, a significant contrast between directions, say 15 degrees or more, is what we’re looking at here. E.g. a hip which can laterally rotate 60 degrees but only medially rotate 10 degrees should cause one’s ears to perk up. That is a big, big difference. The reason prone hip rotation is the best (clinical) indicator of retroversion is when in prone, the hips are not really limited into medial rotation by muscular forces. No muscle is fully being stretched when the hip internally rotates. 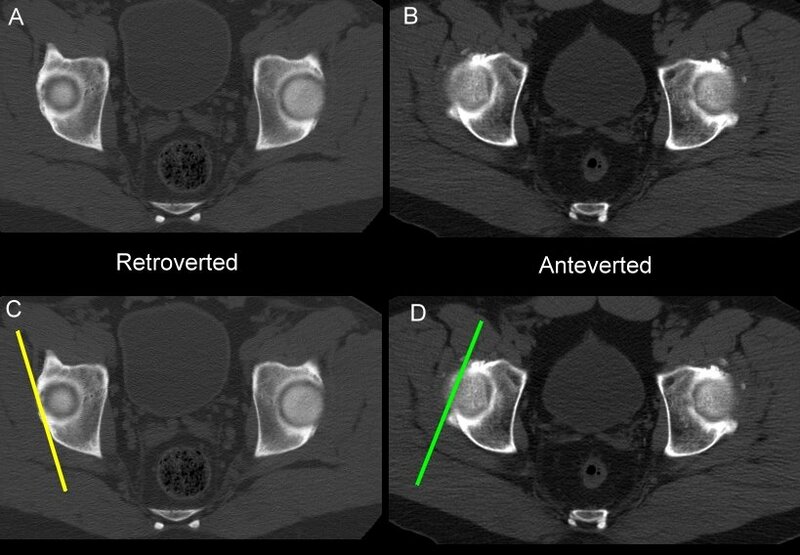 As mentioned, a retroverted hip is structurally limited into medial rotation. 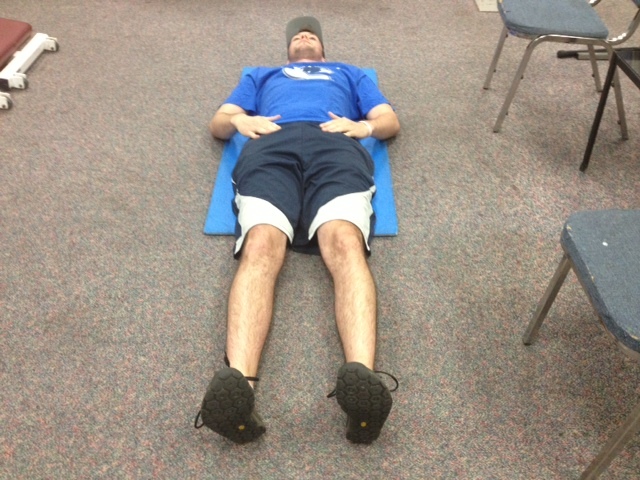 So, the prone hip internal rotation assesses the ability of the hip to medially rotate, structurally. Therefore, it’s a good test for retroversion. In contrast, when the hip externally rotates something like the TFL can really limit motion. 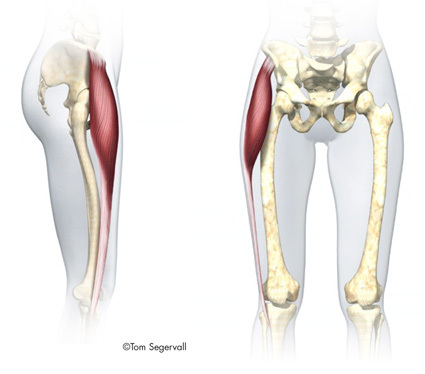 TFL muscle, which flexes, abducts, and internally rotates the hip. In prone, if the hip is limited into external rotation you can’t deduce it’s because of a structural issue at the hip; it’s probably muscular, like a stiff TFL. 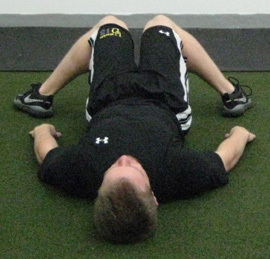 Which brings us to this: If, in prone, the hip is limited into medial rotation (e.g. 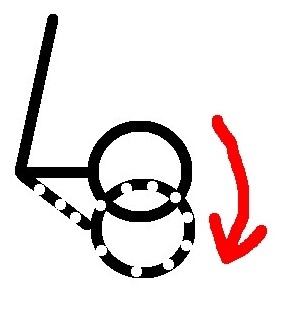 less than 25 degrees) and lateral rotation, you have to also put the person in a seated position, and test again. 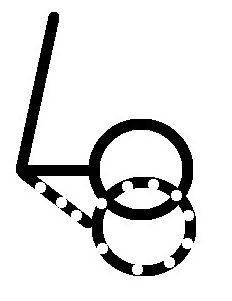 Because now you don’t have the asymmetry in rotation, rather, you have limited rotation both directions. And we don’t know what’s limiting the lateral rotation. Is it muscular, or structural? By putting the person in a seated position we take out the TFL factor, as it’s no longer fully on stretch when the hip is significantly flexed. If the person suddenly has a bunch of lateral rotation, they probably have a retroverted hip and a stiff TFL. 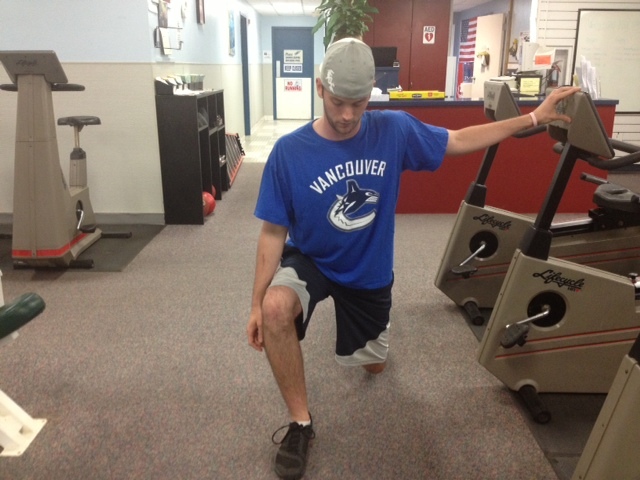 If they’re still limited into lateral rotation then you have an overall hypomobile hip. Now, this isn’t perfect. The opinions on this vary. Some think while in prone the lateral rotators are taut enough to play a role, some think capsular issues are at play, all in conjunction with possible bone changes (e,g. retroversion). Without an X-Ray, it seems like you can’t be quite positive. However, if you see somebody with a drastic asymmetry in rotation, and it doesn’t improve pretty quickly, I have no qualms saying the hip is structurally atypical, and research supports this. I pretty much never bother with Craig’s test. Mainly because the average person I have is overweight. Try palpating a greater trochanter when there is a bunch of fat around it. The most important takeaway from this condition is it’s structural. The issue is bone. Bone doesn’t manipulate like muscle or soft tissue. We can’t fight a structural issue, we have to give into it. 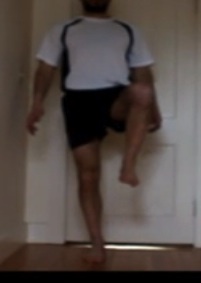 The main thing we give into is the fact the leg has a proclivity for external rotation and abduction. It wants to turn out. I will allow people to perform medial rotation in the prone position as it’s low intensity, and the person can get a good gauge for when they go too far (avoid any pinching). After a certain point though, you and the client need to accept the person has all the internal range of motion they’re going to have. A common example where this medial rotation would pose a problem for retroverted hips is a golf swing. 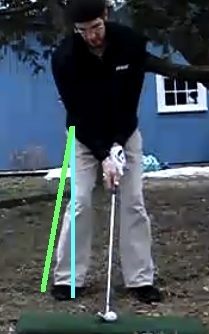 Watch a slow swing in action. Still shots to follow. One way to try and get around this is to have the person open their feet and knees more. This will give the person extra room to internally rotate the femur. However, if the leg is opened up a bit, we give some more room for internal rotation. This isn’t great though. 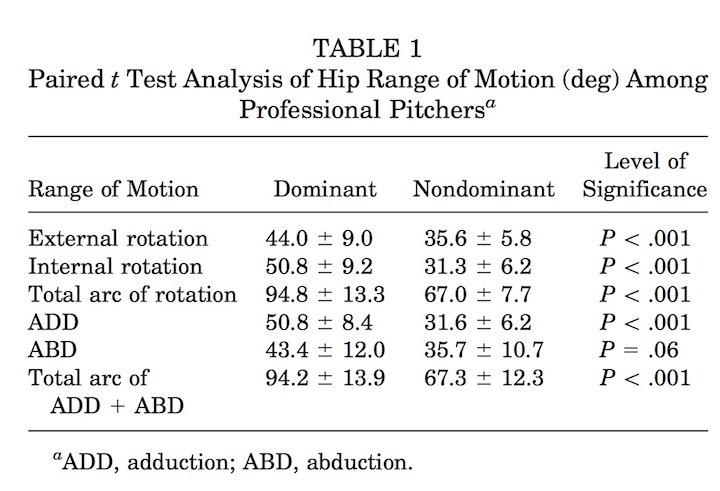 You’re still putting a hip which hates medial rotation into an activity requiring a violent degree of it. What population is this most common in? Hip retroversion is more common in men than women, and active people (or those with a history of being active). Specifically, it appears quite common in athletes where a good deal of cutting / planting is required. Think soccer or football. If memory serves me right, this is fairly common in the plant leg of baseball pitchers as well. This is a good discussion: Retroversion of the acetabulum. 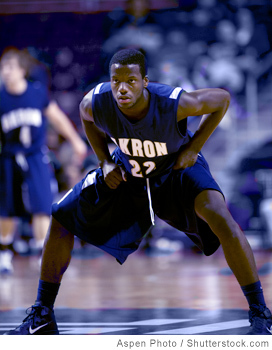 –Hip mobility issues in basketball players- why the lack of internal rotation? I am a PT and recently noticed that I pronate excessively. Having worked much on that, I have began to notice that my left kneecap goes out over the fourth toe. Right one seems to go over the second one. Now one doc said I have a weak internal thigh, but I do not feel that it’s tge real problem. When I stand, my feet are forward, but left knee out. 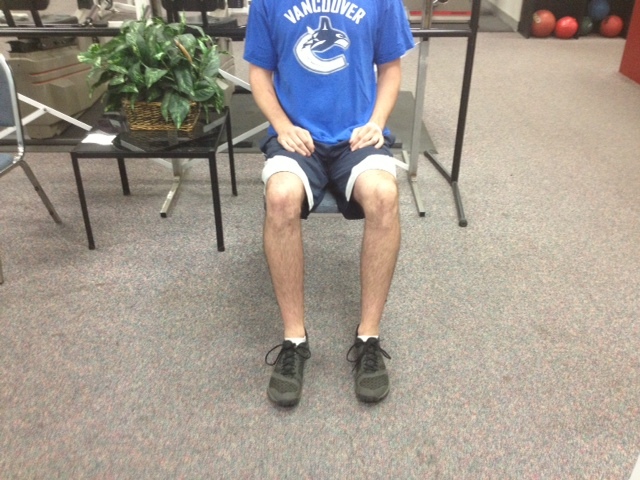 Internal rotation of tibia is bad in both, but right knee trackd over second toe nicely when not pronating. Any ideas what the heck is going on? To my knowledge, my rotations in thw hip are both similar. 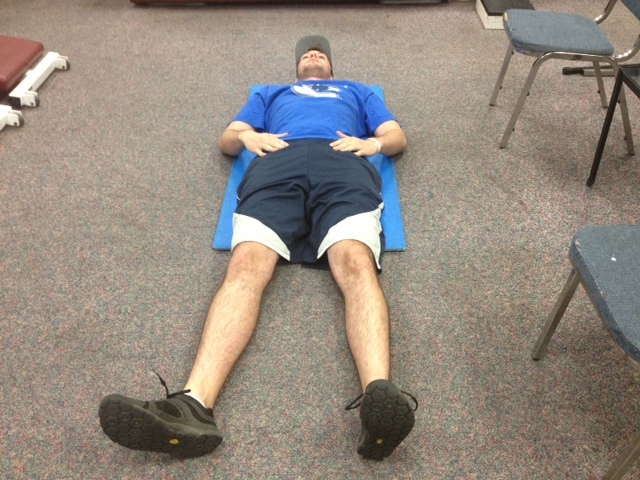 When I lie down on my back, my afflicted foot will rotate outwards. -I’d need to see a photo of this, as a self assessment where you’re attempting to distinguish between the knee being over the 2nd or 4th toe is going to be tough. It’s not you, but with anyone, I never read too much into a self assessment like this. People can deceive themselves into seeing a problem that isn’t really there. -Not sure if perhaps you have your anatomy confused, but if overpronating is truly a problem for you, your tibiae likely *externally* rotate too much. 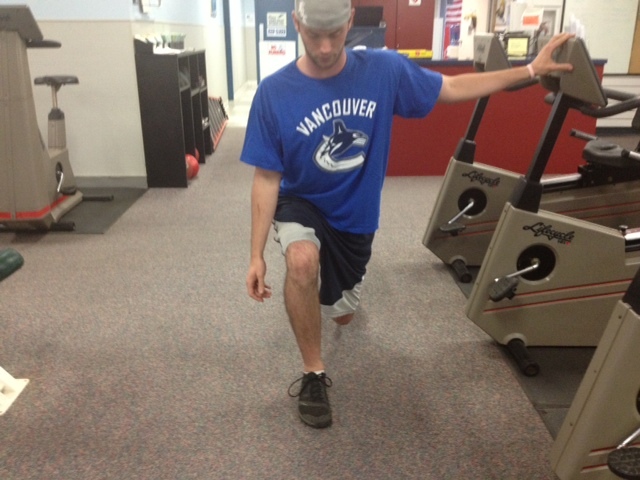 Pronation tends to go with tibial external rotation; supination with tibial internal rotation. 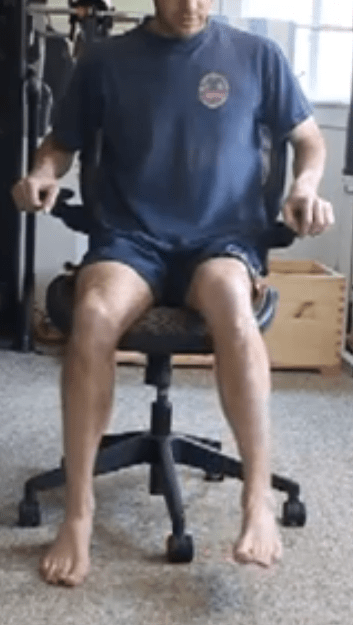 -It is possible for one femur to be more internally rotated than the other, which can then manifest in differences in where the knees are tracking over the toes. Seeing a femur which is too externally rotated is quite rare though. -If your leg falls out when on your back, per this post, you may have some retroversion in that hip going on. As I said, I’d need to see a photo of this to make sure what you’re saying is matching up, and that I’m visualizing what you’re saying correctly, but those are some general tenets to possibly work with. Im 25 and always passed the condition off as just having duck footedness. Ive always been able to do things such as put my legs behind my head or easily sit on the ground with both legs over top of each other. Its great to finally get some clarity on the reasons for it. 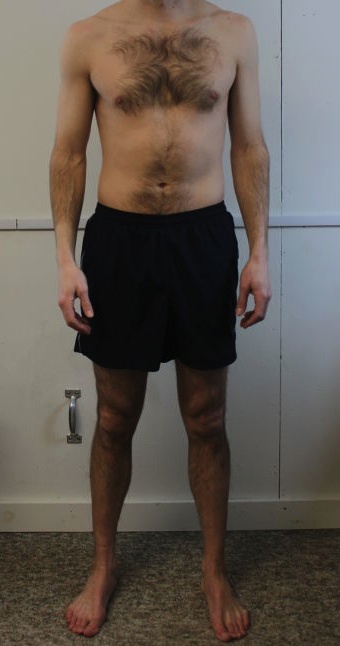 Ive been going to the gym consistantly for the last 4-5 years and have noticed much bigger increases in strength to my upper body than my lower. Are there any other recommendations that you could give to be able to increase squating ability and ROM in retroversion? 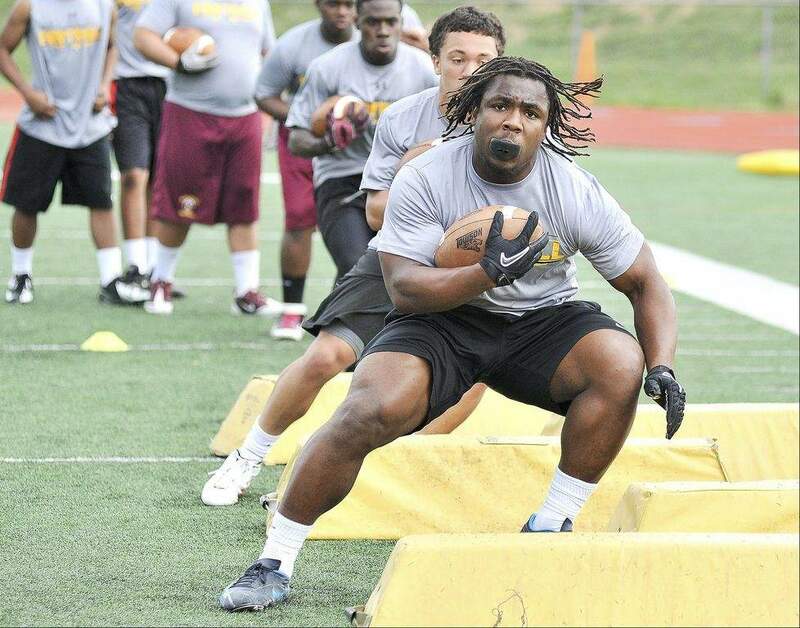 I consistantly find myself in a more SUMO position due to the way in which it is much easier to move my knees. Also not sure if it is related but I also find it hard to drop my glutes low while performing squats. Legs behind your head easily! That’s some serious mobility right there. Squat stance and depth is unfortunately something that is very hard to play with given certain hip structure. For instance, with retroverted hips or hips lacking hip flexion, squatting with the feet closer together and squatting deep can be quite unfriendly. This can make it hard to feel much in the quads. Something I do with these people is go with a wall squat. By being able to lean back against the wall, the person isn’t flexing their hips or trunk as much, so they can avoid the impingement that comes with squatting with the feet closer together. By playing with different depths, and holding some heavy dumbbells, one can get a significant quad workout. I have had a congenital retroverted acetabulum since birth, but it never was an issue until my later 40s. I was a field hockey goalkeeper for nearly 30 years with a lot of turned out planted legs and cross sweeping of the other leg to clear. At 49 after dealing with a labrum tear issue for 5-6 years and giving up playing altogether, I had FAI surgery for pincer impingement and the labrum tears. Initial ROM was better, but returning to umpiring and lots of cutting led me right back to pain. I’ve been in PT for 1.5 years since that surgery and recently saw a hip specialist rather than sports ortho. Diagnosis is osteoarthritis and yes, retroverted acetabulum and dysplasia on that side. I am scheduled for a THP given the degree of arthritis and my age (too old and not enough cartilage for PAO). My questions: will the THP place the new acetabulum in the same retroverrted angle or try to shift it a little more normally when it’s placed. And will they have to ream out more depth to place the cup? Basically….will my impingement issues be corrected along with smooth surfaces gliding against each other? That’s a good question, but I unfortunately can’t answer that for you. (Maybe if someone else sees this they can.) You’d have to hit up the surgeon about that. I imagine they have certain angles which are standard / what they deem normal which they strive for regardless, but I’m not sure how much they take prior hip structure into account. Also, each surgeon may have a different philosophy. If you’re scheduled for surgery already, these are the types of things to be asking before getting into that operating room. Would be interested to know what you find out. Please let us know when you do. I saw some recent activity in this thread and thought I’d update. I am 2 years post Hip replacement and the answer is Yes! The doctor did rotate the cup and for the first time on my life, the foot points straight since the rotation was from the hip down. The outward roatationn that made me a great goalie with cross-sweeping mothions is gone, but so too is the pain, so I’ll take it! Thank you for the update! Particularly important to understand that performance – pain tradeoff which can occur. Glad you’re pain free. Great article thanks. I teacher Iyengar-style yoga where there is a great emphasis on making the outside edge of the feet parallel and internally rotating thighs. This now seems like a misplaced one-instruction-fits-all. What would you suggest I tell people in a yoga class about the basic standing position? 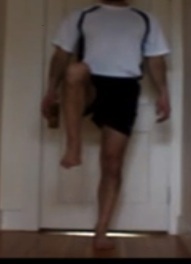 I think a lot of people turn their feet out from tight external hip rotators and from cultural habit. Thanks for your input! Yoga, or a class setting, is tough because you’re trying to account for what can possibly be many different body types. For most people, having the feet straight or turned out some is going to be what works best (so long as the knees also turn some when the feet turn). When the knees are turned inside the feet is often when you want to be making corrections. Let me know if that makes sense / is helpful. Could retroverted femoral heads cause knee pain? I have been athletic all my life with knee pain starting in my early twenties. They did a plica removal that made the issue worse. No physical therapy or treatment has helped to date and my knee is grade two in deterioration. Now in my mid thirties I’ve discovered I have retroverted hips. All this time I’ve been forcing my exercise stances into “correct alignment” with toes facing forward. Is there a connection knee to hip? The issue tends to arise more during bending exercises. In someone with retroverted hips their legs like to turn out. 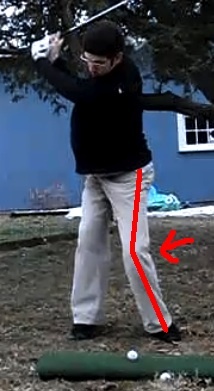 Ok, so if you do a lunge but are forcing your feet to be straight, that will cause your knee to want to turn out as the hip is not comfortable / can’t stay in a straight line during deep bending. (The knee and hip are connected.) You end up turning the knee out over and over. This would load the inside of knee more than the outside. Not ideal. This is one example, and what I’ve seen to be the most common one (trying to force the body to bend a way it can’t bend), but there are some other examples and other issues. I’ll get a post up about this eventually. Thanks for the post, very informative and understandable. I am extremely reteroverted and am unsure if that is contributing significantly to my issues. I doubt it, but do think it plays a part. One top hip surgeon I went to said he’s never seen a joint externally rotate as much as mine and I might have to deal with some frustrating pains. I also have Ehlers Danlos Syndrome. I have bad trochantic bursitis, groins constantly feel like they are getting pulled many times a day, and issues in my ankles, in between my bigger toes, metatarsal pain, extreme over pronation and flat feet, along with many other injuries and tendonitisis. My question is this: every time I try on custom orthotics, it helps many of my foot and ankle issues and doc says body is properly aligned, but my hip muscles get sore only after maybe 2 minutes of wearing them and then taking them off. By the end of the day my bursitis is extremely flared up and I can’t sleep or sit without extreme pain and it lasts for weeks or months until my very talented pt calms it down. It’s dull ache all the time, but when gets flared up, quite painful to add with everything else. Could the reteroverted hips have a part to play in the orthotics flaring up the trochanteric bursitis? Orthotics I’ve tried are custom and off the shelf. Semi rigid, and hard and they all flare it up. With no orthotics or barefoot, I am perfectly fine with just a continuous dull ache. The orthotics Usually correct for overpronation and a heel cup (? Maybe has something to do with it), also have a 1cm functional leg length discrpepency where my injured hip is 1cm longer but docs hesitant to add uneven heel lifts. I can walk for 2-3 minutes without orthotics before ankles and feet make me stop, but if my hip stops getting flared up should get up to maybe 10 with orthotics. My next option is to grind of medial side of heel for orthotics because it’s 3 degrees higher than lateral side, but if that doesn’t work I’m in for another few months of little sleep and bad pain. Thanks a lot. Unfortunately there are too many possibilities in something like this. The orthotics could change how your feet move, in a positive way, but how your hips move, in a negative way. As you’re alluding to. However, what could also be happening is by the orthotics getting the feet to calm down, you’re simply able to focus on your hip pain more. The way I phrase these types of things is if you just sprained your ankle, but then I punch you in the face, your ankle doesn’t hurt as much. Take away the punch in the face though, and your ankle hurts more. That’s more a pain processing deal than it is anything biomechanical. While you could very well be a more extreme case than I’ve seen, my experience has been structural variations can pretty much always be managed so long as the person is willing make the necessary changes. That pain isn’t a given just because someone has e.g. retroverted hips. hi – I had an IM rod installed in right femur after a bone brake. the bone would not heal because the break was set to far apart so screws were removed. body weight would move the joint closer to promote healing. for the last 11 yrs my right foot points out at a 45 degree angle. I have an altered gate – knee and hip pain. also I had an mri last week and found out when the bones moved closer the rod extended into my knee. I now have class 4 arthritis and need a new knee. most doctors avoid me now. could my issues be a direct result of the femur repair ?? I don’t see these things often, but I have seen some people where after having hardware their alignment significantly changed. Where something seemed to not go right on the surgeon’s end. So could it be a result of the repair, yes. My athletic granddaughter (age 17) has just been diagnosed with hip retroversion. Just curious…..could this be why she stands with toes pointing in (pigeon-toes)? I’ve never mentioned it to her or her mom – didn’t want to make her self-conscious. 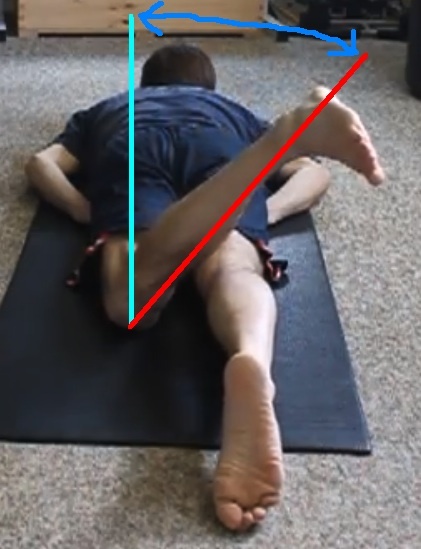 Toes pointing in is most often a sign of hip anteversion. It’s possible the hips are retroverted but the toes are pointed in, due to tibial torsion. But that would have to be a hell of a lot of torsion at the tibia. Not sure I’ve seen that myself, but it is possible. More common case is either hips are fine and tibiae are rotated inwards, or the hips are rotated inward (anteversion) so the toes come along for the ride. Reddy – Just as a thought, is the actual total arc of motion different from an retroverted hip and a neutral hip position. Meaning is the total ROM is the same; the arc is just shifted correct? That’s how the shoulder has been approached- that total arc is the same, but shifted in e.g. a baseball player’s retroverted throwing shoulder. 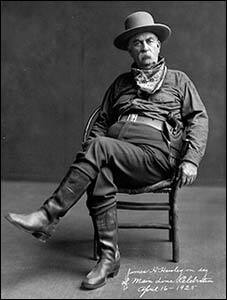 I’ve not seen the evidence to back that up with the hips. Though I’m not sure this has been thoroughly vetted either. For instance, if you search for “total arc range of motion hip retroversion in scholar”, you’ll still get some shoulder studies. Throwing is a specific population, but I’ve never minded extrapolating some to the everyday person, as so many people grow up throwing something. That is, you basically never make your baseline expectation full symmetry between sides, as so few will develop using both sides evenly. Total arc included. Personally, I approach each hip as it’s own, rather than have a preconceived idea of how much range of motion it should have. “Should” is often playing with fire when it comes to people’s movement. This is by bar the best article I have read on the subject. I am convinced after reading articles all day and going through yours that I have Retroversion in my right hip. My question is around solutions for this problem. In your article you made it sound like there wasnt really much hope to reverse this through stretching or exercise or surgery? I am a cyclist and allowing my foot to be externally rotated I am told will decrease power and efficiency.Is something that cant get any better? Thanks for the nice words. Glad you found the article helpful. When top powerlifters or olympic lifters squat, they have their legs externally rotated. They do just fine with generating power :). That said, there are some other ways to manipulate how one rides a bike to be more hip friendly. I have a guide coming out about this soon. Just putting the finishing touches on it. Thanks for the response! I am interested in reading that article when you get published. I will check back.